The Benefits of Creative and Performing Arts with Simply Lizzie. There are many social benefits to getting involved in music, dance and drama. Joining our Creative Hub yourself, or encouraging your children to take part in our dance, drama or craft lessons will open doors socially and will allow you and your children to make new friends more easily. It also encourages you to get out into your local community, meet a varied group of people from different backgrounds, and keep you busy in your spare time. We particularly pride ourself in helping people who are shy or lack confidence, one of the main benefits of performing arts is to boost confidence. We teach life skills that can be used in many walks of life… from performing live in front of an audience to making a speech or going to an interview. Our professional team believe in giving you as many performance opportunities as possible and offer every student the chance to step into the spotlight. Communication is a key part of what makes performing arts a success, whether it’s the actor communicating with the audience, the director communicating with the actor or the choreographer communicating with the dancer, their jobs will only work together successfully if everyone communicates. Therefore getting involved in dance and drama will certainly help to improve your personal communication skills. There is also evidence to suggest that getting involved in the arts can improve your intelligence levels because you learn so many new skills, and where scripts are concerned you are likely to learn new words and general knowledge. There are also spiritual and psychological benefits because dancing, acting and singing encourages self-discipline, diligence, self-expression, calmness, and fulfilment. Our classes teach the students to express themselves and offer the perfect outlet for imagination and emotion which can help clear the mind of anxiety and worries. 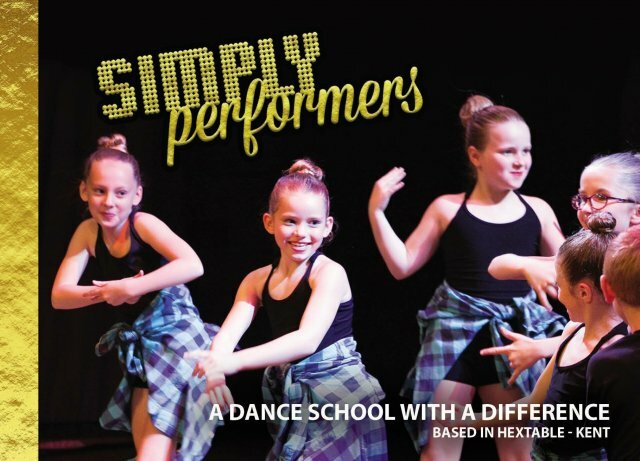 So now you’ve heard the reasons why the performing arts are good for you, why not check out our fun, energetic and exclusive classes based in Hextable Kent and come along for a free trial.